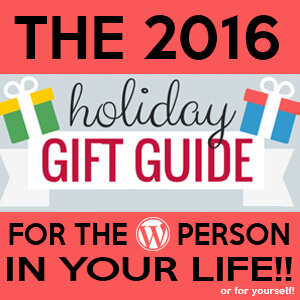 This week I share the 2016 Gift Ideas for the WordPress person in your life! Thanks to Josh for #Thankful4WP hashtag! Segment 2: 28 Gift Ideas for the WordPress/Geeky person in your life! WordCamp – Buy them a ticket! Nothing!. Get outside. Breath. Unplug for 30 mins!